Affordable and versatile. Our on-ground pools are the finest available in Canada. Perfect for a yard with a steep grade. Accessories such as stairs personalize your pool to your backyard vacation experience. With the highest quality and most durable materials, these pools can withstand anything mother nature has to offer. Be it a freezing cold windy winter or a hot sultry summer. The Radiant Pool offers incredible features and benefits that you won’t find in any other pool. 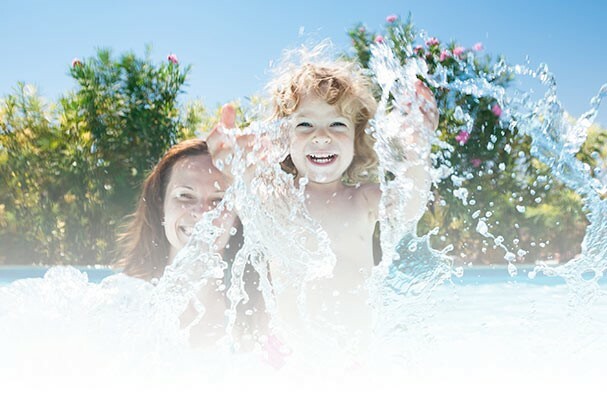 Unique manufacturing technology, unlimited installation options, incredible warranty protection and energy savings that, over time, allows this pool to pay for itself. No other pool on the market today can offer this complete value-added package.